Every teenager remembers playing dodgeball in youth group at sometime or another, but how many of them remember playing black light dodgeball? Black light dodgeball is a game that every youth group needs to try to play at some time or another. This week we are having an event called Ignition to kick-off the summer. 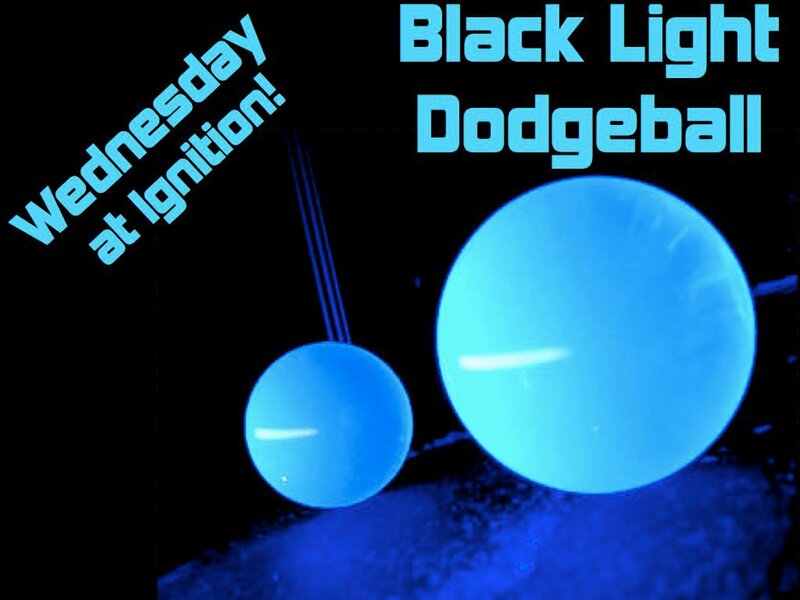 Ignition is a three night event for students that includes music, games, a concert, inflatables, and this year black light dodgeball! Since I am the youth ministry intern here at COD I am playing a huge role in making this event happen along with the youth pastor Brett Ayers. I have been talking a lot about this black light dodgeball on Twitter and Facebook so I figured I would post a blog and explain what we are using and how to go about preparing it so you can use it in your youth ministry one day. First, you need black lights and plenty of them. We ordered 24 black lights and then went to Lowes and bought shop light holders to put them in. This part will be were you spend most of your money, but will be worth it because you can use the black lights for something else after the event. We are setting the black lights on each side of the gym and hanging some as well. You can do many different things with the black lights, but the important thing is to have enough of them and have them spread out as well as not in a place where they can get hit by a ball or person. Second, you of course need dodge balls. Most people think that white dodge balls will glow, but they actually do not. We went to Dicks and bought five white mikasa dodge balls. 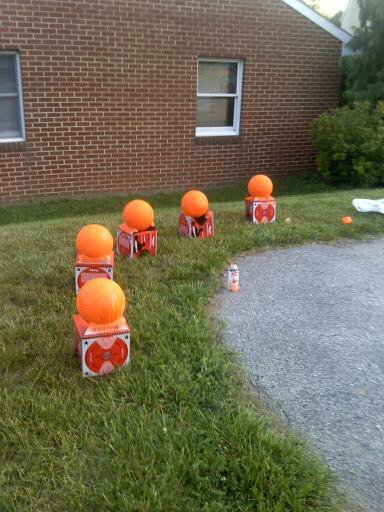 Then we got flourescent orange spray paint from Wal-Mart and just sprayed the dodge balls orange. They look great and will glow in the black lights. I will post a follow-up blog after the Ignition event and let you know exactly how it worked and note any changes or things you may want to do if you are going to try this out. Below is promotional picture we showed the students for black light dodge ball. Just ran across this. How did it work out? It went pretty well. Few things to keep in mind if your going to do it. First, black out the gym/room completely. Having just a little light will ruin it. Second, make sure and use yellow neon spray paint. For some reason the orange didn’t glow as good. Yellow was awesome! Does the paint ruin the balls? When you use the balls for regular dodgeball does the paint begin to come off? The paint will start to eventually come off. During the actual black light dodgeball game the paint will start to come off, but not enough to take away the “glow” of the ball. Use them a few times in normal dodgeball and the paint will be off. Cool idea. It seems that the yellows and greens do best with most blacklights. If you can find a phosphorescent paint that will work really well with blacklight. It glows by itself and gets supercharged by blacklight. Did you have any issues with balls hitting the exposed blacklight bulbs? Thanks for the suggestion Brian. We didn’t have any issues with the balls hitting the backlight bulbs. We did our best to put the blacklights in areas where it would be difficult to hit them. However, no matter what you do, there will be a chance they will get hit.